we are committed to getting the job done right the first time. 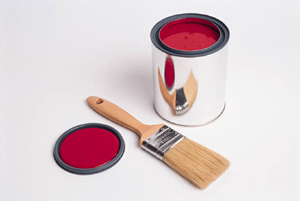 Our attention to detail, coupled with high integrity, makes doing business with John's Professional Painting a pleasure. With more than 15 years of experience, we know our honesty in business and a job well done make for happy customers. That is why more than half of our business is from customer referrals. Call us today at (612) 227-7123 to schedule your free estimate. 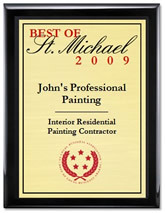 2009 Best of St. Michael Award !